On June 24, New York City was busting at the seams with rainbow-adorned garments, good vibes, and glitter galore as hundreds of thousands of people paraded the streets to celebrate NYC Pride. After frolicking around Manhattan all day, we trekked to Williamsburg to bring that same energy to Brooklyn Steel for Years & Years' headlining show. The British trio started off the performance strong, kicking it off with their single “Sanctify”—a fan-favorite judging by the crowd's energetic screams. Lead singer, Olly Alexander, has been open about his sexuality in his lyrics, and tonight was the perfect occasion to celebrate it live with the LGBTQ community. “Beyonce did this at Coachella, so I feel like it’s okay,” Alexander gushed while dabbing the sweat off his forehead after belting out the final notes of the song. Little did he know, their energetic set would have every person in the room doing the same by end of the show. 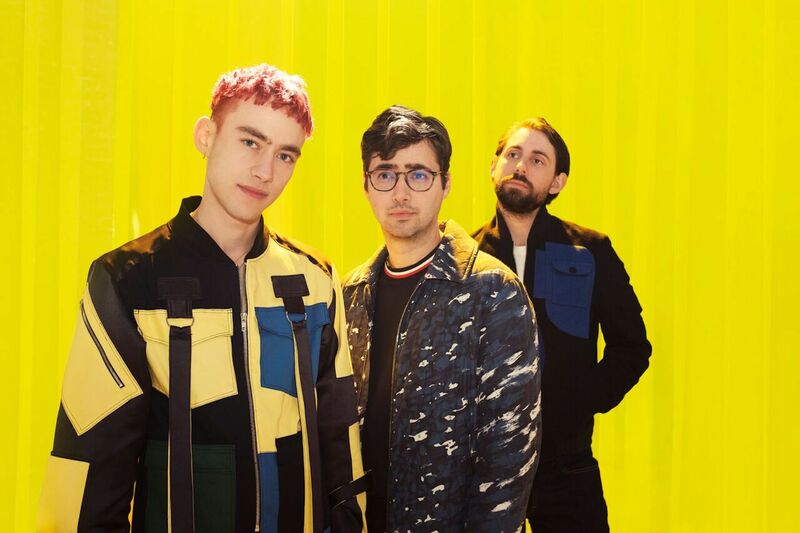 The liveliness that Years & Years exuded throughout their performance would make anyone in the crowd think they were at an arena show rather than at an 1,800 capacity music venue. Their infectious spirit turned Brooklyn Steel into a giant dance party, packed tightly with fans who could be seen jumping, waving pride flags, and belting out the lyrics to the electro-pop trio's stellar songs. We were lucky enough to get a preview of their highly anticipated forthcoming album, Palo Santo, which is set to hit the shelves on July 6. They performed five brand new tracks from the LP, letting fans into the world they’ve created in which everyone is welcome. On a day that is all about inclusivity, Years & Years’ performance surely made every member of the crowd feel like a part of the celebration. Although the set was mainly energetic and uplifting, there were moments where the band slowed it down, playing ballads such as the “Eyes Shut” on the piano, before later reigniting the rowdiness with anthems like “Desire” and "Real". There was no better way to end the night than by dancing to their irresistible bop “King”, which had us clapping to the beat while we sang every word. Throughout the show, they absorbed the crowd’s energy and threw it right back, making room for breathers and laughs, all while reminding us that although their talents are otherworldly, they're human just like us.